See poster above for course details. We also offer Intermediate / Advanced courses on the same days and location. Go here for our Special Offer for complete beginners - Bring a Partner for Free! It's possible to join our courses in the first two weeks. Still possible after that but if you're a complete beginner you'll need a catch up private lesson or two depending on how late into the term you start. Many of our students take a combination of group and private lessons to complete the beginners series. Contact Sophia for more options and pricing. Thinking of taking a tango lesson but not sure if it's the right dance for you? Go here for the SoTango philosophy and here for testimonials. Go here for more on Sophia, a national tango champion and her team of dedicated instructors and assistants. 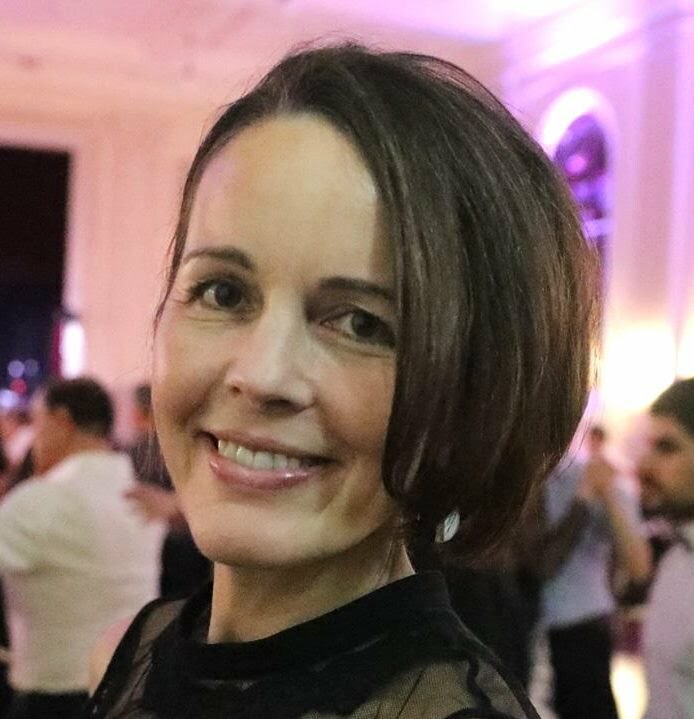 Sophia has taught literally thousands of people to tango, some of whom are now tango instructors themselves - she is a teacher of teachers! Give the unforgettable gift of tango this Valentine's Day! Go here for more about SoTango's Gift Certificates. Our services include group courses, private coaching, bridal tango, gift certificates, shows and performances, team building. We also host a popular Practilongas every 1 - 2 months. For more details go to All that we offer. Want to stay updated to our news? (new locations, next courses and special offers). Best way is to subscribe to the SoTango newsletter. Hello! I'm Sophia de Lautour (Alvarez) - the principal instructor of SoTango and a national tango champion. 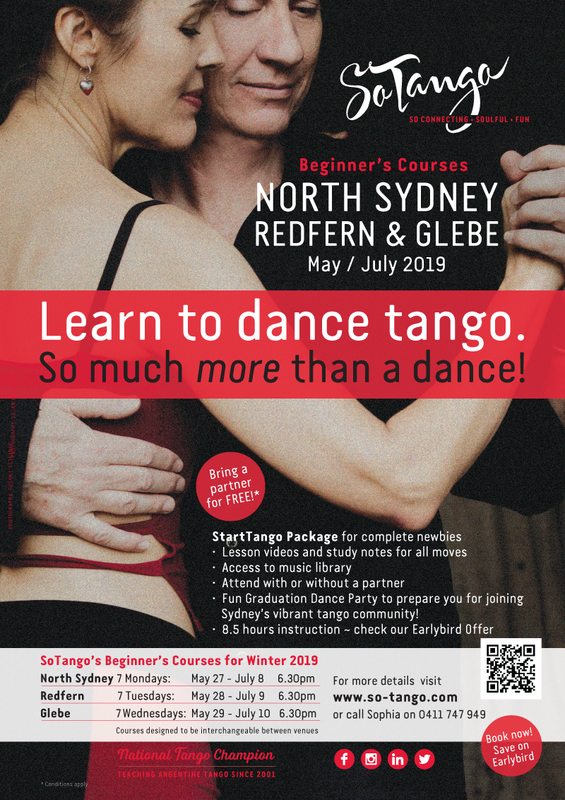 Since 2001 I have helped literally thousands of people in Sydney to learn to dance Argentine Tango. In Sydney I am known as 'a teacher of teachers'. It makes me so proud that some of my ex-students are now teaching! Feel free to contact me to discuss anything to do with tango. Until we chat, or meet on the dance floor, have a lovely day! For more information (in addition to our What is Argentine Tango page) SoTango refers visitors to: Unesco gives Argentine tango world heritage status, and the following Wikipedia pages: About Argentine tango and The different forms of tango.